Chevrolet re-entered the pony car segment in 2010 by bringing back the CAMARO after a decade's absence. This CAMARO 2SS Coupe screams performance with it's 6.2 litre V-8 engine, six-speed manual transmission, SS gauge package, 4-wheel Brembo brakes, a locking differential, and dual exhaust! 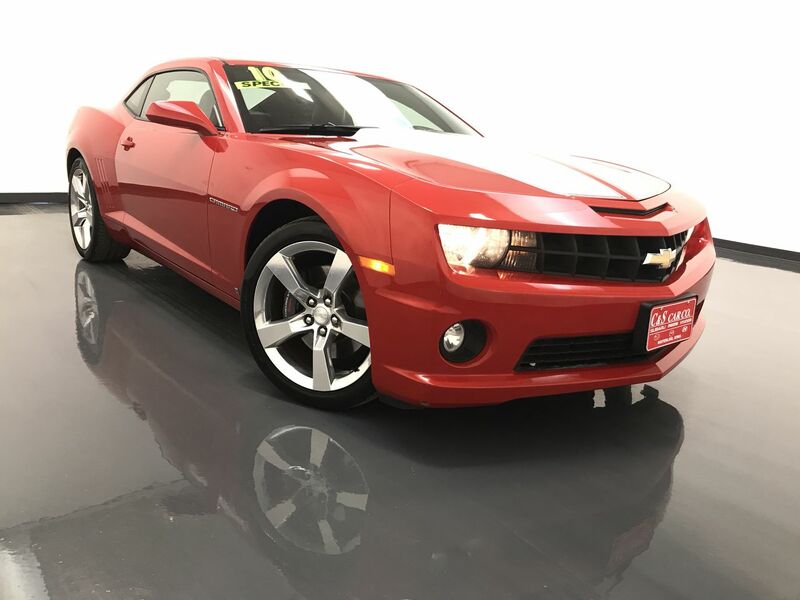 This Camaro has a leather interior with heated front seats, a power driver's seat, traction control with ABS anti-lock brakes, keyless entry, a sunroof, and an AM/FM/CD sound system with XM satellite radio and Bluetooth connectivity. The exterior is highlighted by the 20" alloy wheels with sticky Pirelli P-Zero tires and a rear deck-lid spoiler. Call C & S Car toll free at 866-212-8718 or locally at 319-291-7321.